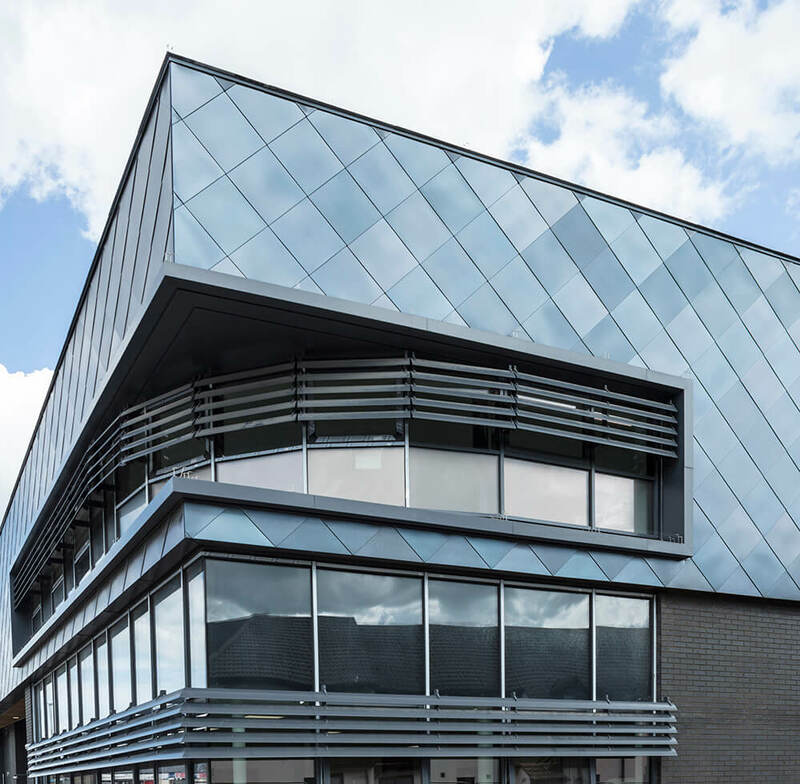 Euroclad standing seam roofing, euroclad profiled roofing and cladding. Saranfil singleply roofing was installed along with PPC aluminium flashings. 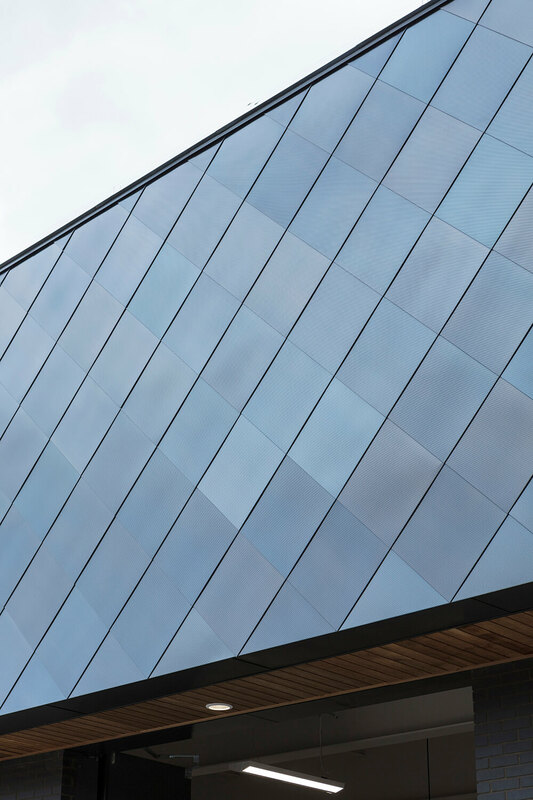 Rimex shingles were used to create the fantastic aesthetics of the building.